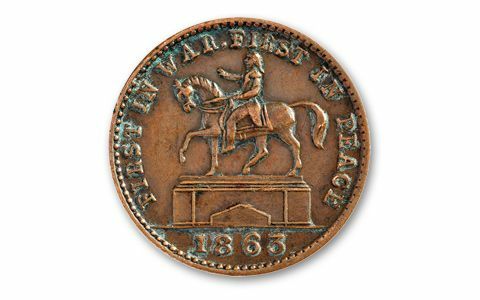 These Civil War Tokens Saved the Day! 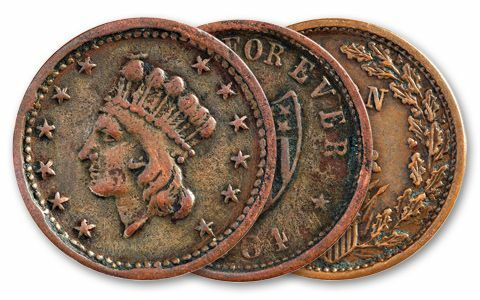 As Civil War inflation raged in 1862, coins disappeared because they were worth more than their face value. Commerce nearly ground to a halt. 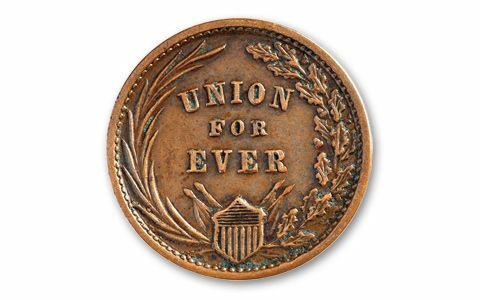 But entrepreneurs saved the day by striking these Civil War Tokens to replace the missing coins. They have patriotic themes and often carry merchants' advertisements! We located a small cache of 81 tokens dated between 1862 and 1864 (designs and dates will vary). Each is in Very Good or better condition. Now you can add these historic artifacts to your collection. Every design is a fascinating snapshot of life back in the day. Hurry, these won't last long.